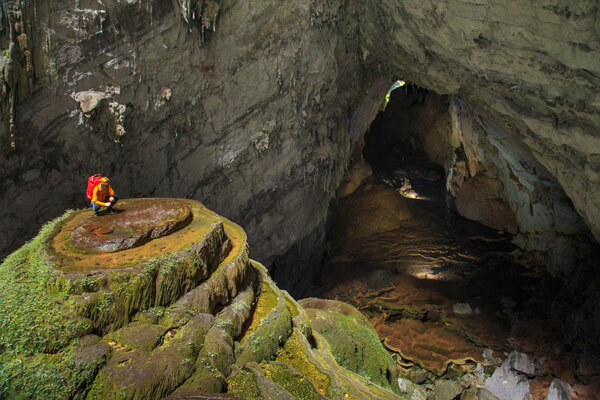 Tour of exploring Son Doong cave has been closed from thí month to the end of this year, announced director of Tourist Company Oxalis Adventure Tours Nguyen Chau A. Son Doong cave tour in 2015 is full with about 482 local and international visitors. The US has the highest number of travelers with 145 tourists booking to the cave, followed by Australia with 123 people, Vietnam with 115 holiday makers and others countries. Quang Binh authorities have permitted Oxalis to operate the most expensive tour in Vietnam to explore the world’s largest cave Son Doong. Son Doong cave tour is not a pleasure trip or vacation, it is an exploration trip being full of obstacles and challenges, hence it requires participants to have physical and mental abilities, goals, and determination, stressed the Oxalis’s director. The five day and four night tour costs US$3,000 a person. Each tour has a maximum of 10 visitors, totaling a maximum of 500 tourists for the entire year. The adventure tour operator has offered a payment of VND8 billion to the Phong Nha – Ke Bang National Park for environmental protection. The company receives hundreds of registrations every day for the 2016 tour, but it is still waiting for license from the People’s Committee of Quang Binh Province.